This morning, Clint Dempsey became the first American to score a hat trick in the Premier League, leading Fulham to a come-from-behind 5-2 win over Newcastle at Craven Cottage. Danny Guthrie put Newcastle on top with a goal from distance in the 42nd minute, but Fulham's Danny Murphy converted a penalty kick following a foul by Davide Santon against Damien Duff in the 50th minute to tie the match 1-1. The rest was all Deuce. Tim Krul saved a shot from Fulham's Bobby Zamora, but Dempsey pounced on the rebound and put it in the net in the 58th minute. 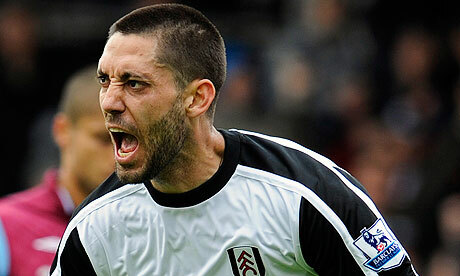 Then, Zamora found Dempsey with a pass into the penalty area that Dempsey converted in the 64th minute. Newcastle goalkeeper Tim Krul took down Andrew Johnson in the penalty area for Fulham's second penalty kick of the match, this one converted by Bobby Zamora in the 66th minute to put Fulham up 4-1. Newcastle got one back in the 84th minute from Hatem Ben Arfa, but then Dempsey scored his third goal of the match, and his third assist by Zamora, in the 88th minute. 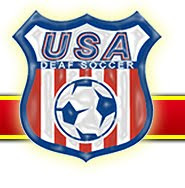 Dempsey's first career hat trick placed him among a very short list of Americans who scored a hat trick for a top division side in Europe: Earnie Stewart (twice, Willem II, 1990-91), Eric Wynalda (Saarbrucken 1992), Michael Bradley (Heerenveen 2007), Charlie Davies (Hammarby 2007), and Benny Feilhaber (Aarhus 2010). A few months ago, we addressed the troublesome issue of the possible banning of alcohol at the Qatari 2022 WC. What we didn't address are current legislation that bans the sale of alcohol at Russian and Brazilian stadiums. In a recent, and something like 5th or 6th rebuke of Brazil's lack of infrastructure improvements in recent months, FIFA addressed the issue of the banning of alcohol sales. "We're not talking about alcohol, we're talking about beer," Valcke said. Last time we checked, beer is a form of alcohol. And isn't Budweiser a major sponsor of FIFA WCs? Now forgive us for saying that FIFA is being two faced, but I didn't hear any of these same money grubbing VPs complaining about alcohol bans when they voted for Brazil, Russia and Qatar, but now they are? Oh wait, no, they still aren't publicly addressing the fobidding of alcohol in Islamic countries. Irony, you know no bounds. Russia, at least, is considering a possible exception. But even with that, we can only assume that they will make Budweiser pay through the nose for the rights to sell the alcohol. Someone, please remind me why despite many medical and political flags were raised with these three countries, they were still selected over much better and more capitalistic choices like the UK and US? Oh, that's right, money. The same money and bribing that got bin Hammam kicked out of FIFA. Sigh. Wonder if they'll ban my hip flask of scotch since I didn't techically "buy" it at the stadium? 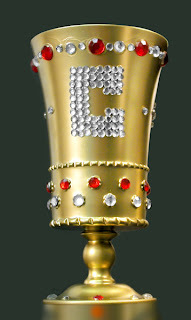 Enjoy your World Cup everyone, and be prepared to complain to the bitter end. FIFA.com caught up with Jurgen Klinsmann to discuss his first six months in charge of USA. A legendary former player who dazzled for Germany, Bayern Munich, Inter Milan and Tottenham Hotspur, the 47-year-old spoke candidly about his hopes to transform American soccer from floor to ceiling. Calling Southern California home for the past 13 years, the ex-Germany coach talks affectionately of his “special relationship” with the USA and his hopes to overhaul the country’s football. Tactics, individual responsibility, technique, nutrition, fitness, philosophy – it is all on the table for the energetic Klinsmann, who pulls no punches. “No spot is guaranteed” in his team, he warned in the first instalment of this exclusive two-part interview. FIFA.com: Jurgen, can you describe your first six months in charge? 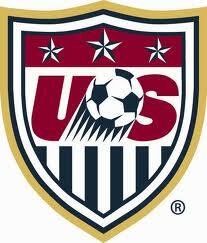 Jurgen Klinsmann: This is a transition period. We are moving away from a reactive style of play to a proactive style. We want to play with the big teams; we want to take on the bigger nations and play like they play. This requires a different way of working from the top to the bottom. There is the physical side, the technical side, the fitness side, and the tactical side. We need to improve all areas of the game and this doesn’t happen overnight. This seems a tough task. How are the players reacting to your new approach? I think they’re getting the message. They’re taking to the idea of training harder, doing double sessions. I ask a lot of them from a tactical perspective, but also things like nutrition and lifestyle. It’s important to show them that they need to go further all the time, that it is up to them to drive themselves forward. Can you talk about your friendly results so far? Two wins, four losses, one draw and only five goals scored - this can't have been exactly what you were hoping for? The results have not all been great, but changes like the ones we’re talking about take time. Here and there we have been unlucky, but that’s OK. It’s part of the process, part of the transition. Also, I would say that we've put in some very good performances so far and are working toward something bigger. You’ve taken over from Bob Bradley, who had his own approach. How do you make changes in a national team? The most important part is to work and train the way you want to play. It’s not done in words or on a blackboard, but out on the training pitch. You have to work on the fast transitions, getting back behind the ball when you lose it. [You have to] bang these impulses home so that they become second nature. What is the philosophy behind the way you coach? Mark Hughes loses his first match back at the helm as Best scores early and Newcastle wins, 1-0. The first half was rather uneventful. Van Persie scores in the 5', Sinclair hits a pk at the 16' mark and all goes quiet. The second half was a little better as Swansea get goals from Dyer then Graham scores less than a minute after Arsenal levels it. Swansea walk out winners, 3-2.